Downloading apps through APK file, Is It Safe? how to know if it safe ? Downloading apps through APK file . Is It Safe? Home Internet Downloading apps through APK file . Is It Safe? Downloading APK Applications. Is It Safe? Safety of our smartphones is becoming a more concerning issue as thousands of new mobile phone applications are being developed and marketed every day. And for it’s not always possible to download those apps via safe platforms (Google Play for Android devices for example), people seek another alternative path by downloading their favorite apps directly. At some point, if you have an Android device, you must have heard of “an APK file ”. 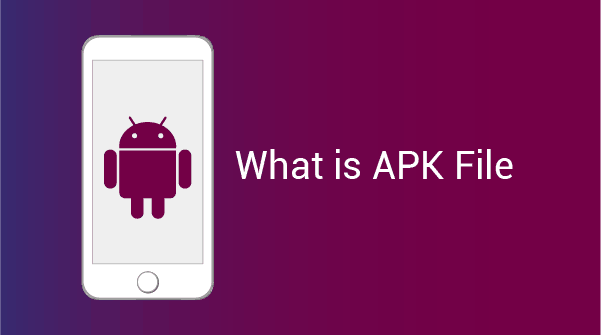 And to be able to download millions of apps that are not available for you on the Android apps store (Google Play Store), you must get to know a bit about APKs. What is an APK File ? An Android Package Kit (Also known as APK), is the format (directory) of the Android Operating System for mobile apps installation. For example, EXE files are the file format Windows on your PC use to open or install software. When you are downloading applications for your Android device via Google Play Store, you actually are downloading APK files that Google apps store had reviewed and checked before uploading on their platform. In most cases, people use the Play Store to download their desired apps, and when they do, the apps get downloaded and installed automatically, while when downloading from any other source, they will have to download and install the apps manually through the APK files. The downloaded and installed apps via Play Store are APK files, but the user never notices the process for it’s being done in the background. Why Would I Need to Install APK Files? To Be The First: New Android applications’ versions mostly get leaked as APK files before they are officially launched through the Play Store. This way, you will be able to access the app’s new features that you might need ahead of time. Break Restrictions: Unfortunately, some Android apps, which can be essential to your phone, are restricted to be downloaded and installed (via Play Store) within regions outside yours. By downloading the app through the APK file, you will be able to access most, or sometimes all, features of the applications. Getting The Updates: Updates for an Android app can take too long before they become available automatically or at the Play Store. The way out is by downloading the APK file of the app because the updates reach the APK copies mostly before. Back To Older Versions: What if you don’t like the new updates? The only solution then is to download and install the app by an older version of the app. That’s only possible if you go with an older APK file. Inaccessible Play Store: Some Android devices cannot access to Google’s Play Store. If so, APK files would be the only option to install apps on the device. Is It Safe to Download Apps through APK? There are thousands of sources/websites that provide users with APK files of their Android devices’ apps. And as we have mentioned above, downloading APK files has many features and sometimes it is mandatory when there is no other option (Restricted regions or inaccessible Play Store). Some APK files may have malware that would, in some way or another, violate your Android device’s security. How Do I Know If APK File is Safe? MetaDefender: MetaDefender has multiple antiviruses to scan APK files. You can upload your APK file (Up to 140 MB). The web tool extract the file to scan every part of it. This one is excellent in detecting viruses. Below is the result of scanning a safe APK file through MetaDefender. NVISIO: NVISIO detects malware in APK files. It’s as good as MetaDefender, yet with NVISIO, you can upload APK file of any size. Just select the file then click on “Scan Package”. After a short while, the tool will generate a report of the result. You also can receive the result report via your email. VirusTotal: The most popular web tool to analyze APK files. 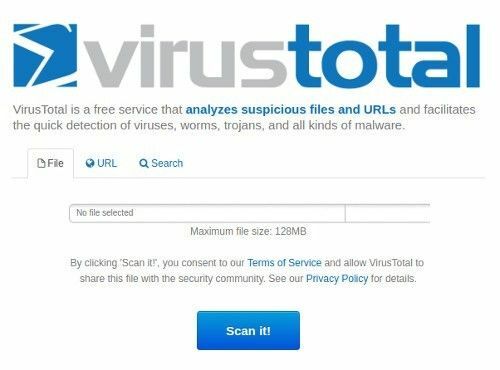 VirusTotal detects any viruses or malware in APK files. You can upload an APK file with up to 128 MB size. Most apps size don’t exceed that limit. Select your APK file then press on ‘Scan it’. Downloading Through Trusted Sites: You can use trusted websites to download APKs. Some of the top-trusted APK sites are: APK Pure, APK Mirror, Android Free Market and Black Mart. Through The Official Releaser: Some apps developers upload a dedicated APK file of their app on their official website/platform. It’s completely safe then. Users Reviews and Comments: The quickest and the easiest way to know all about the APK file’s safety is to listen to others’ opinions. Before downloading your APK file, take a look at what is said by those who downloaded it before you. Mostly, if any use has downloaded it and found malware or viruses, they would warn other users or alert the website’s administration. Users usually get helpful when it comes to protecting others’ security and/or privacy. Why Do Some Apps Provide Only APK Files? You can notice that many remarkable Android applications are not available through the Google’s Play Store. They have their application as an APK file and upload it to many Android apps download platforms. Why do they do so? Reaching Every Android Device: Millions of Android devices owners cannot gain access to the Play Store. For that reason, some apps developers choose the full-scale path by uploading their app as an APK file on the internet for everyone to download and install. Avoiding Google’s Fees: Another good reason is that anyone uploading an app to Play Store, they have to pay a known amount of money (fees). Some developers are still on their first tries and cannot afford to pay before they get some good reputation. More Versions for Users: On Play Store, Android Apps developers can only upload one version and it’s always the recent one. While with APK files, they are able to upload multiple versions so users can select their best-matching one, download and install it on they android devices. How to Download and Install APK Files? Find the APK file of the app you wish to install. Search online for it then download the file to some easy path to reach (Desktop, for example). Make sure apps outside Play Store are allowed to be installed on your device: Go to Menu -> Settings -> Security -> and check Unknown Sources. You will then be able to install apps through APK files. For recent Android OS versions, it’s easier, you can allow APK files installation through the browser or the File Manager once you start installing your first APK app file. If settings are not changed, you will be asked to choose between charging your phone or ‘Media Device’. Choose ‘Media Device’. Locate your Android device’s folder on your PC (Click My Computer if it’s Windows). Copy the APK file and paste it in your Android device. Select ‘My Files’ from your Android device’s menu. Tap on your APK file and select ‘Install’. Open your Android device’s internet browser. Search for your app’s APK and download the file. When the download has started, you should then be able to see it downloading on the top of your device’s screen. Once the download is complete, open ‘Downloads’ and then tap on your APK file and select ‘Yes’ if a message appears.